At 10am and 2pm we meet next to the domed monument in the center of the park. Look for the BLUE umbrella. Don’t fall for the copycats. Part of all the contributions we get we use to finance street art and graffiti projects, community events, and more. 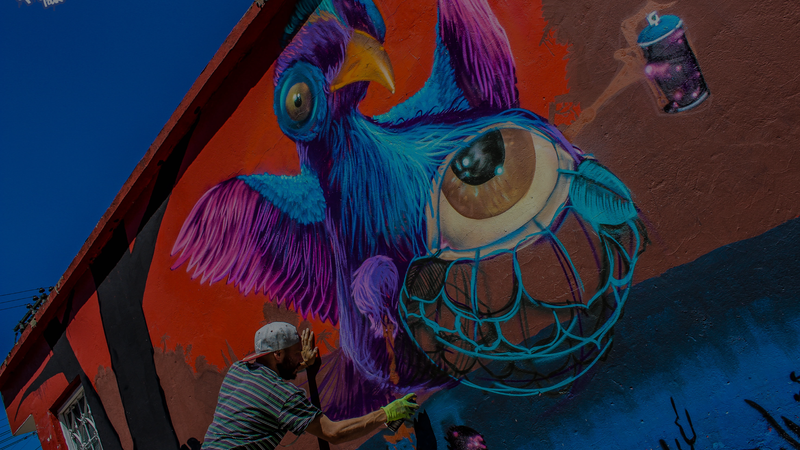 The Original Bogota Graffiti Tour has been part of the Bogota’s graffiti scene since 2011. Every day we give two free tours in English at 10am and 2pm, and we give private tours in Español, Francais, Deutsch, and English. We also offer Bike Tours, City Tours (of the graffiti districts and other areas of the city), and we give Workshops for those who want to jump into the world of aerosol. We like to think of our tours as a sort of urban experience; the goal is for people to leave the tour with a new way of seeing and understanding the city. But we do so much more than give tours. With the donations we get from people who’ve enjoyed the tour (generally between 20-30 mil pesos (7-10 USD)) we constantly reinvest in the community. The tour has worked with local, national and international artists to create community projects all over Colombia and other countries. 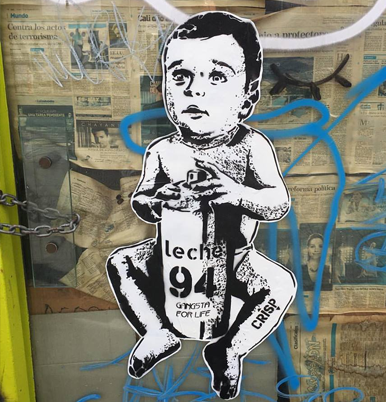 Bogotá Graffiti Tour started in 2011 when a Aussie street artist and a Canadian graffiti writer decided they wanted to share Bogota’s unique, prolific urban art scene and help expose local artists to a wider international audience. 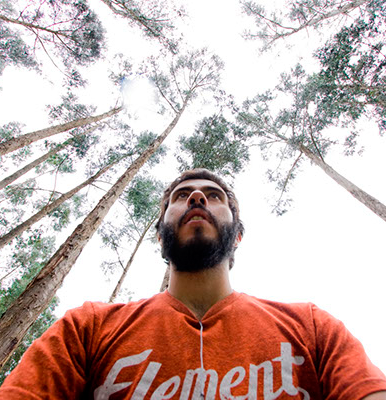 The tour has changed a bit over the years, and it’s now considered one of the best things to do in Bogota, but we’re just as passionate as we were when we started 7 years ago. The team (a group of artists and creative minds) get together just about every week to talk about graffiti, plan how to best help out artists’ projects, and to brainstorm the best ways to bring our own projects to life. 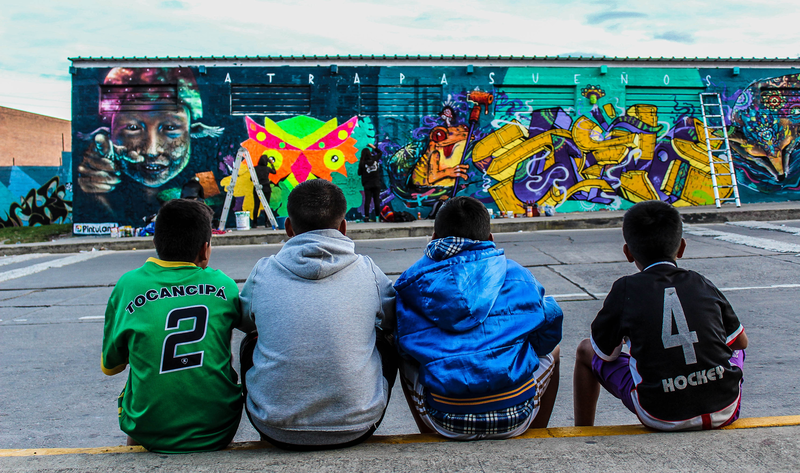 Crisp originally started Bogota Graffiti Tour as a way to share and help promote a very special side of the city. He is well known internationally for his sociopolitical, and animal stencil works along with unique street sculptures that grace many streets across Europe, USA, Latin America and Australia. 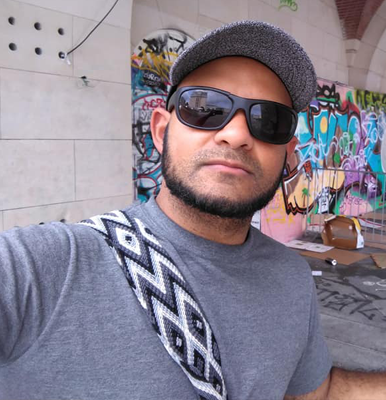 Born in Colombia but raised in New York, Bogota Graffiti’s manager is a living newspaper. He knows what happened, who did it, and where everything political-related in the country and graffiti-related in the city lies. Don’t miss the chance of discovering that too! In University, Monica was constantly surrounded by people who are now part of the street art world. She also developed a passion for public art, indigenous subjects, and social issues. Thanks to all that, her tour is an amazing cultural trip. Join her in that ride! 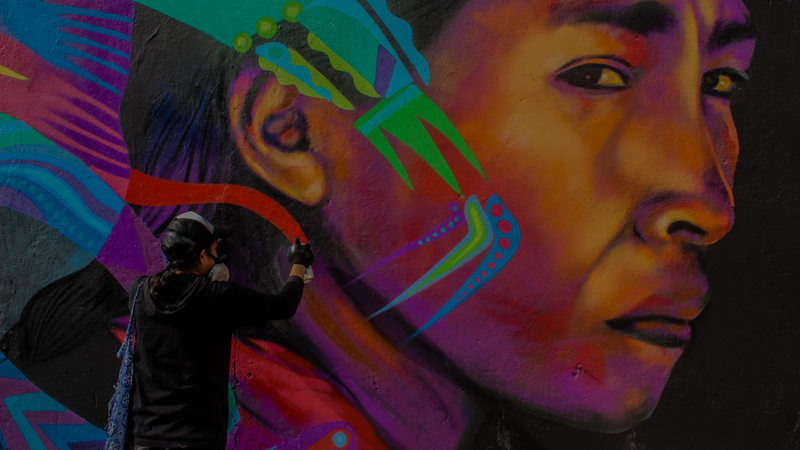 Political scientist and graffiti artist, Ana has spent years hitting Bogota’s streets. 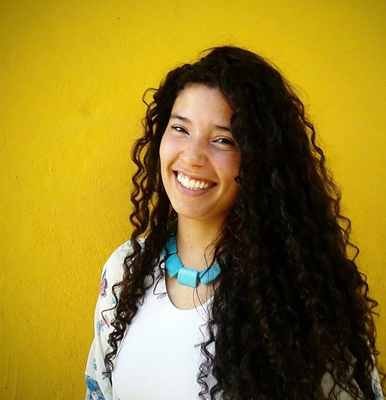 Her background gives her a unique perspective about Colombia's sociopolitical situation and its relation with graffiti; something she’s more than willing to share with all visitors! Anthropologist and tour guide, Jeff is proud of knowing the city better than most locals. He’s always been interested in history, politics, social issues, and urban environments. You will find these subjects finely put together in an exciting-educational narrative on any of his tours! Visual arts are Carlos’ lifeblood. 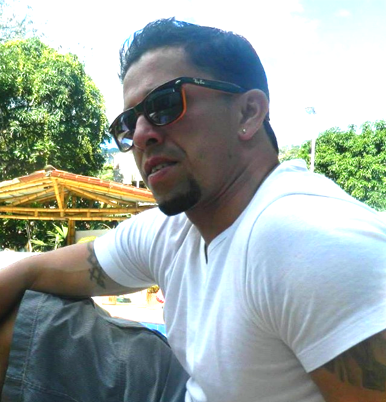 Being a profesional graphic designer, he also does stencils on the streets every now and then. Carlos brings both world together in his tours, turning them into unforgettable experiences! All private tours start at 200 mil pesos for 1-5 people and we charge an additional 40 mil pesos for each additional person. 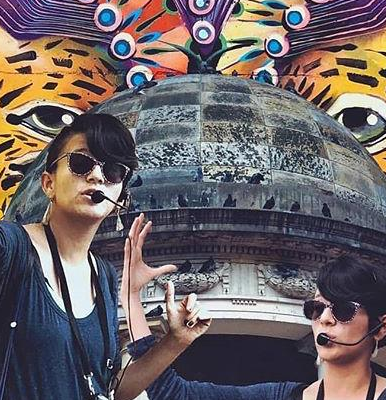 We offer personal private tours in La Candelaria and around the city with a fixed cost. We also organize school tours and group tours at discounted rates.